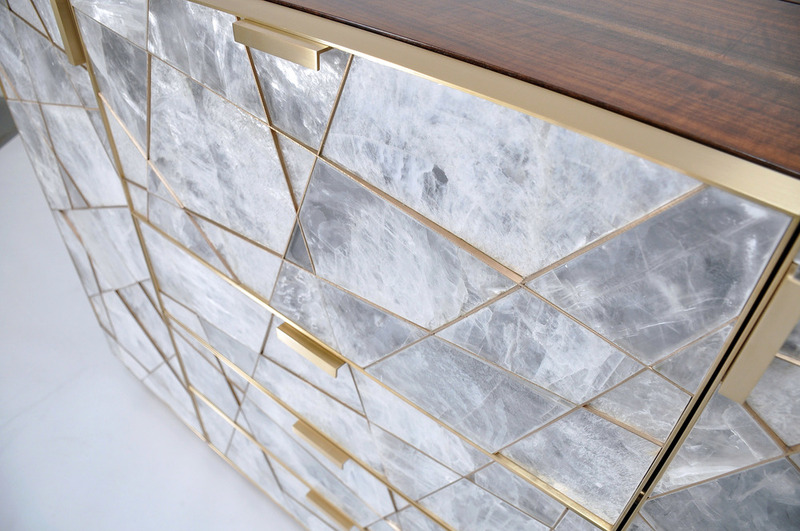 This custom version of our Pacifica Style has doors and drawer fronts clad in selenite in a ray pattern with a bronze matrix between each individual piece. 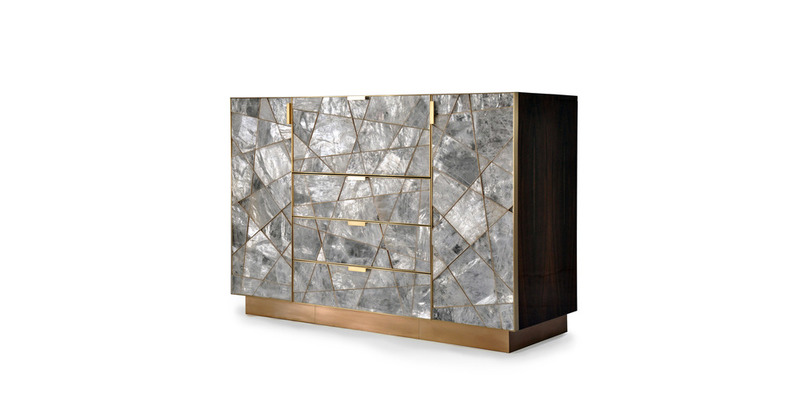 The doors are wrapped in bronze as is the base, and the sides and case of the cabinet are california walnut in a high polish. per the clients request, the cabinet has a drop front desk with leather wrapped writing surface, high gloss wood dividers and a tv lift at the back of the cabinet.